This Christmas, I decided to take my decorations up about 4-5 notches. If you follow me on Instagram, you would probably agree. I have definitely taken you on a ride while decorating the interior and exterior of my home. The theme this year (and many years thereafter) is a Gingerbread House. 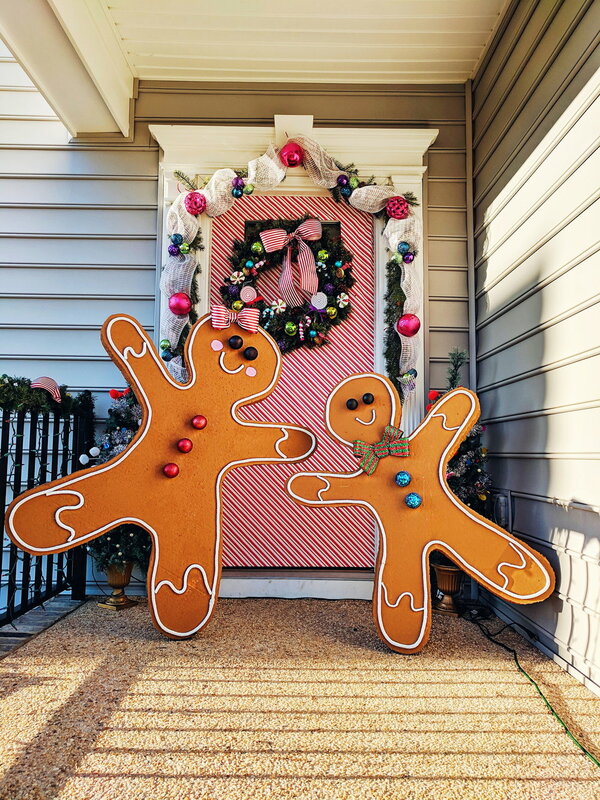 You can’t have a gingerbread house without a gingerbread man…or let’s make that a lady in this case. Merry Christmas!!! If you enjoy other DIY projects that I do around the home like this one, comment below with “I WANT MORE PLEASE!“. I can add them to my blog. Love you guys!